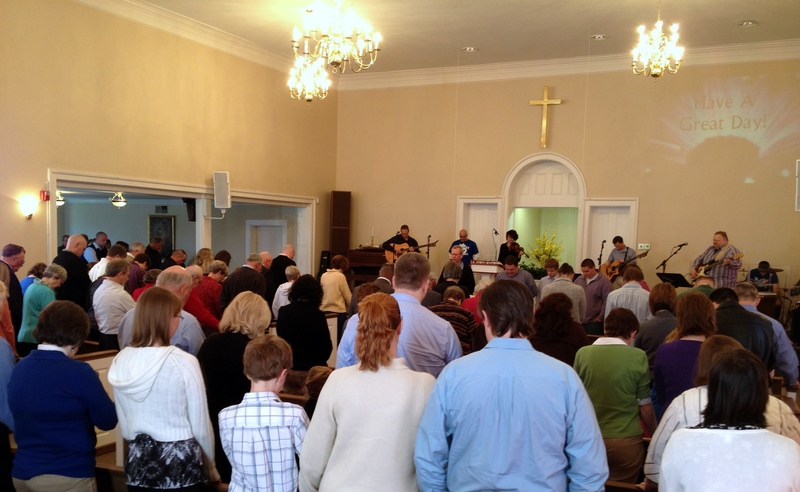 We offer a 8:30am service for those looking for something a little more traditional—or an earlier worship time. We sing familiar hymns and accompaniment by our pianist. Our pastor often wears a coat and tie at that service. Many of those in attendance, however, dress rather casually. Join us at 10:45 am in the sanctuary for an upbeat worship experience led by our Praise Band. We sing current worship music with some updated hymns as well. Some people dress up, while others are in casual attire. The environment is warm and relaxed, with relevant, inspiring Bible teaching from our Senior Pastor, Evan Rowe.